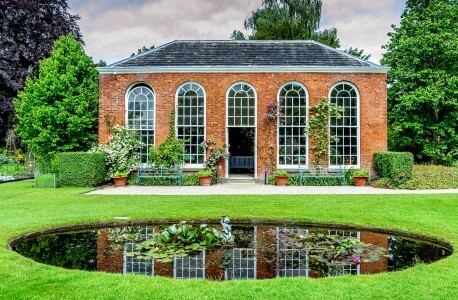 The orangery on the grounds of Dunham Massey Hall in Greater Manchester, England. An orangery is a greenhouse specialized in growing orange trees. Orangeries were popular on wealthy estates in the time before imported fruit became widely available. Credit: Special thanks to David Dukesell for granting permission to use this photograph as a jigsaw puzzle. Visit David Dukesell's Flickr photostream. See all jigsaw puzzles based on David Dukesell's photographs.